PIN IT!We all know of the many benefits of exercising, but joining a gym can be costly and not everybody wants to make the necessary time commitments. There is an alternative to the scheduled classes, which is free and even beneficial to the environment: integrate more exercise into your daily life. Rather than driving somewhere to work out and drive home again, do it wherever you are. 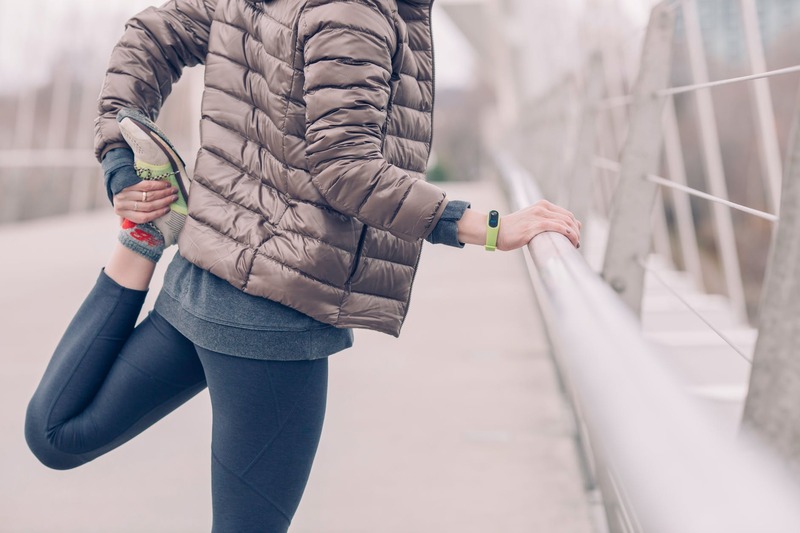 Here are some everyday exercise options for moms. Good for the environment and your shape, try to reach your workplace or other destinations per bus or train. It will afford you a little walk, since the bus stops are most likely not in front of your house and your destination. But if they are, you could get on one stop later or get off one stop earlier for a bit more walking. Another advantage: If someone else does the driving, you can read a magazine or even a book or look at your phone without getting anybody in danger. If your destination is close, you might take it a step further walk or cycle. Bike trailers are available for kids of all ages, some even double as strollers and joggers. Your purchases can go in as well and/or get saddlebags. You might be surprised how much you can transport that way. For walking, a backpack is ideal. Think of other errands that come without the need to transport things: Doctor’s or hairdresser appointment, movies, meeting friends at a restaurant. All of this might be in walking or biking distance. If your store is too far away or you buy more than fits in your saddle bags, here is a mini-trick for drivers: Park in the row of the parking lot that is furthest away from the store entrance. At least you will get to walk a little bit. You could get some fresh air during your lunch break at work rather than just going to the cafeteria and sit down. If your lunch is a sandwich, you could even eat while walking. Or walk to a nice spot, sit down with your food, eat and walk back. Make it a habit to get up when your phone rings. Go out in the back yard or just go from one room to another. Even if it is just a few steps, that’s still better than staying on the sofa. You can meet your friend or a chat at your local coffee joint and chat at the table, or you can get a latte to go and have the chat while you are (yes, again) walking. Probably the only bad thing about reading a book is that it’s usually done while sitting down. With audiobooks, however, you are free to move around inside and out. Maybe the easiest way for parents of small kids is to join them in play. Run, dance, climb… don’t just watch them do their stuff, take part. There are countless ways to integrate activities into your everyday life. As a rule, something labeled “convenient” or “makes your life easier” will likely make use of your muscles less necessary. In the kitchen you could ignore the electric can opener, cut produce rather than using the food processor, or beat egg-whites with a crank style egg beater. Whenever you use electric appliances, consider a way to do this activity manually. The same goes for work in the garden, although the mere fact you work in the garden means you are exercising. To make it even more impactful, you might consider a mechanical lawnmower – much quieter, and no gas or electricity needed. Irrigation is convenient, but with a watering can you can give each individual plant its dedicated amount of water. And please, no leaf blower, the neighbors will love the silence while you rake. Admittedly, many things take longer if you do them by hand. Unless traffic is really bad in your area, your walk to the store will take longer than driving. But time spent on your well-being is time spent well. DeeDee DuPlessis is a subtitler and stock photographer living in Tucson, Arizona. She likes to ride the streetcar and her bike. Just today I spoke with a friend and couldn’t for the life of us figure out how parents seem to do it all, especially when they continue working out. I mean I guess it’s very draining of energy but we weren’t even able to imagine being able to juggle so many plates at once. Kudos to you! Yeah, let’s just say my exercise regime has never quite gotten back to where it was 4.5 years ago, before child no.1. Lol. These are nice tips. I’d add that HIIT (high intensity interval training) is another good one. You can do just 15 mins per day and definitely keep in shape. That means it can be squeezed into nap times. Fitness Friday | Katie S.